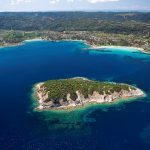 It is a magnificent island situated on a private bay and surrounded by a natural forest, one of the last unexploited areas of Halkidiki, a fact that explains its astonishingly pure beauty. 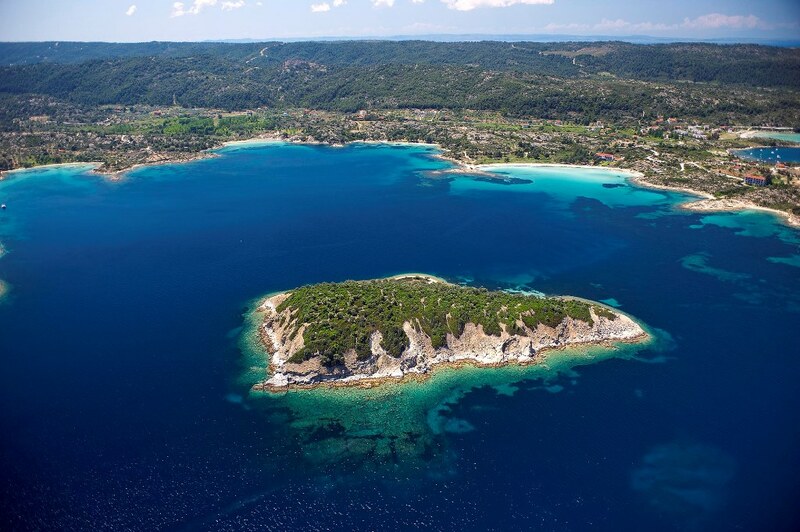 Diaporos is right across Vourvourou village in Sithonia peninsula. 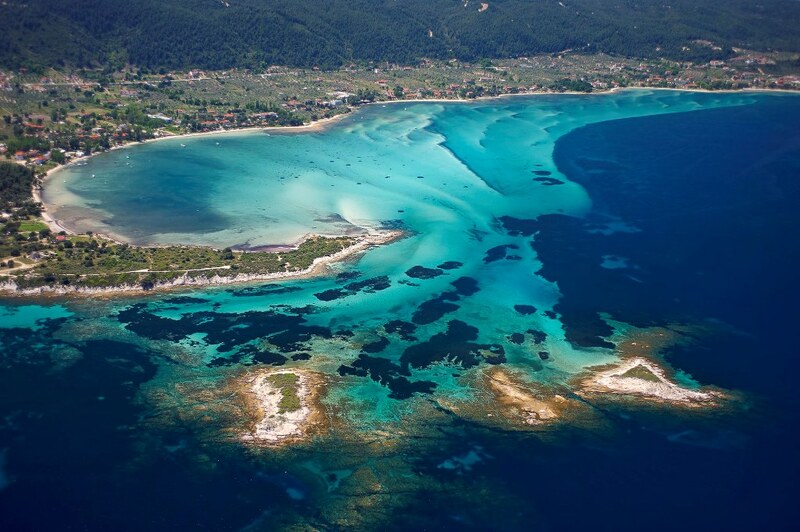 The bay is deep enough for large yachts and the natural beauty of the location is astonishing. With a few adorable houses here and there, it's a place worth exploring and is ideal for a picnic. 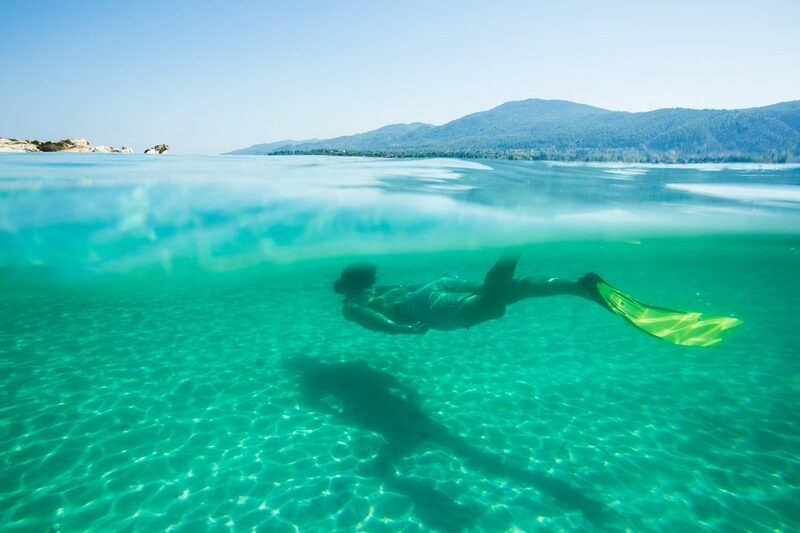 There are many reefs where one can snorkel in the crystal clear water. Diaporos belongs to a complex of islets together with: Kalogria, Ambelitsi, Kalamonisia (3), Prassonisi, Peristera, Agios Isodoros. 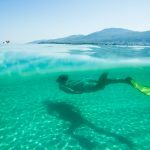 One can reach them by renting a private boat (no license needed) or paddle your own canoe to explore the several secluded coves surrounded by pine trees and sandy beaches.